Deep red with purple reflections. 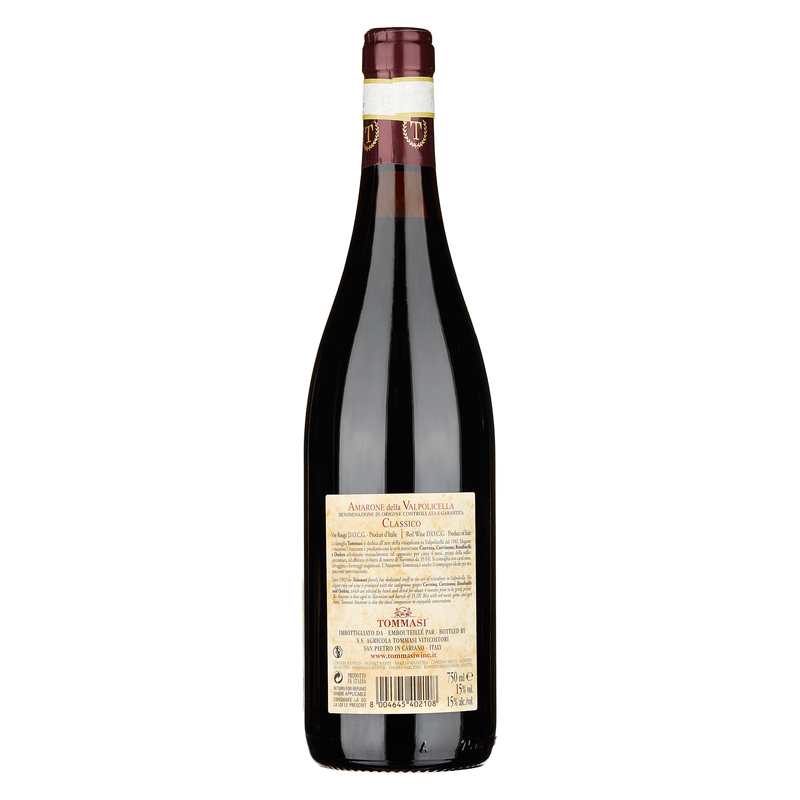 The bouquet is reminiscent of juicy cherries, dried fruit, sultanas, cooked prunes and wild herbs, but also white pepper, mocha and liquorice. 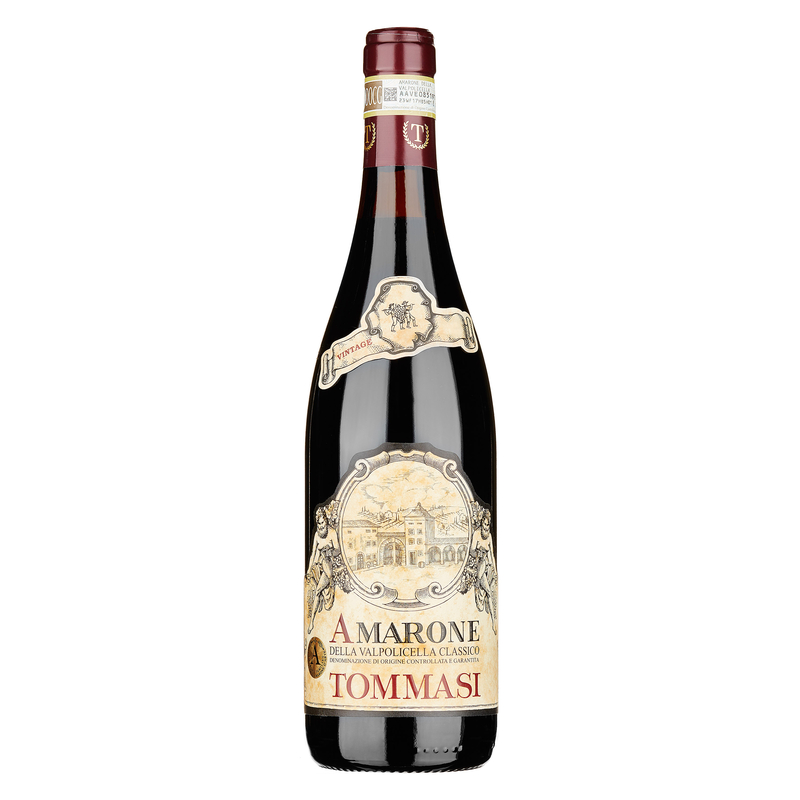 Full, complex and velvety on the palate, fine and round, with soft tannins and long persistence. Pairs well with aged cheeses, red meat and game. Excellent accompaniment to hare with herbs. 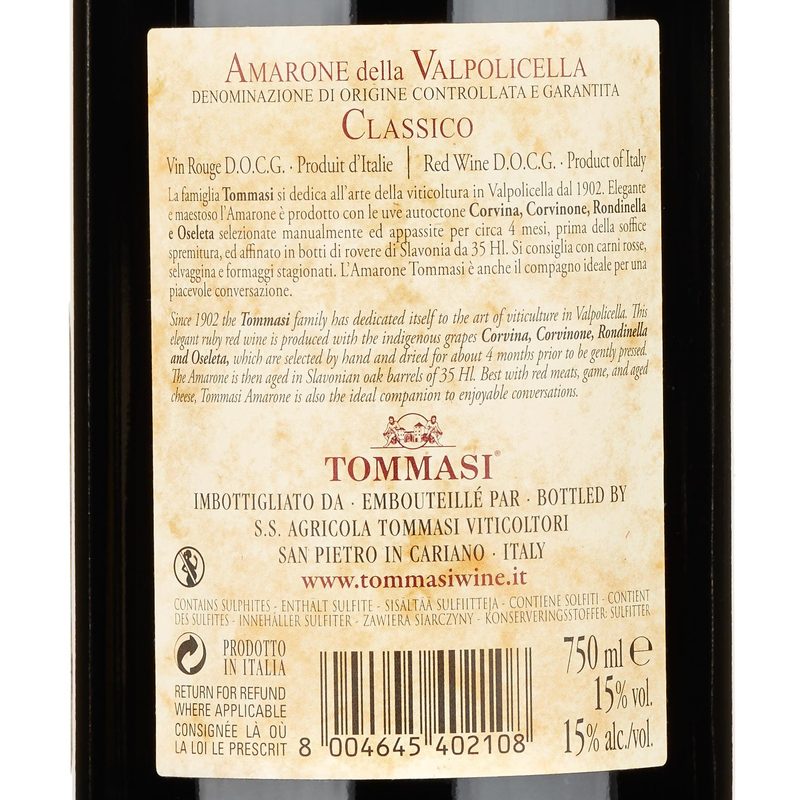 It is produced using exclusively indigenous grapes which, after the harvest in October, are dried on racks in the drying sheds until the following February. 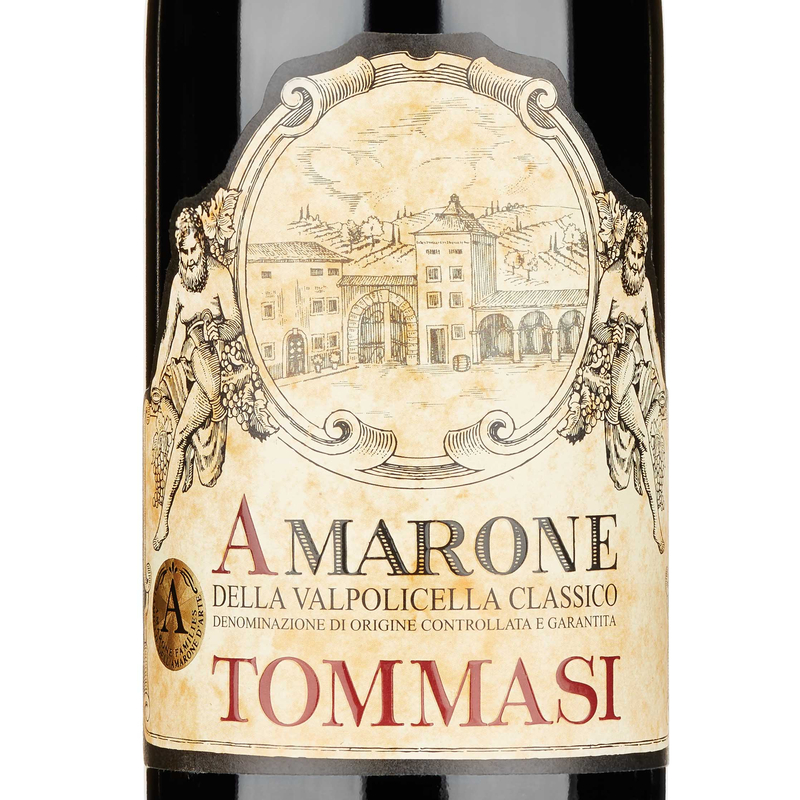 The Amarone della Valpolicella Classico DOCG of the Tommasi winery then matures for three years in Slavonian oak barrels. 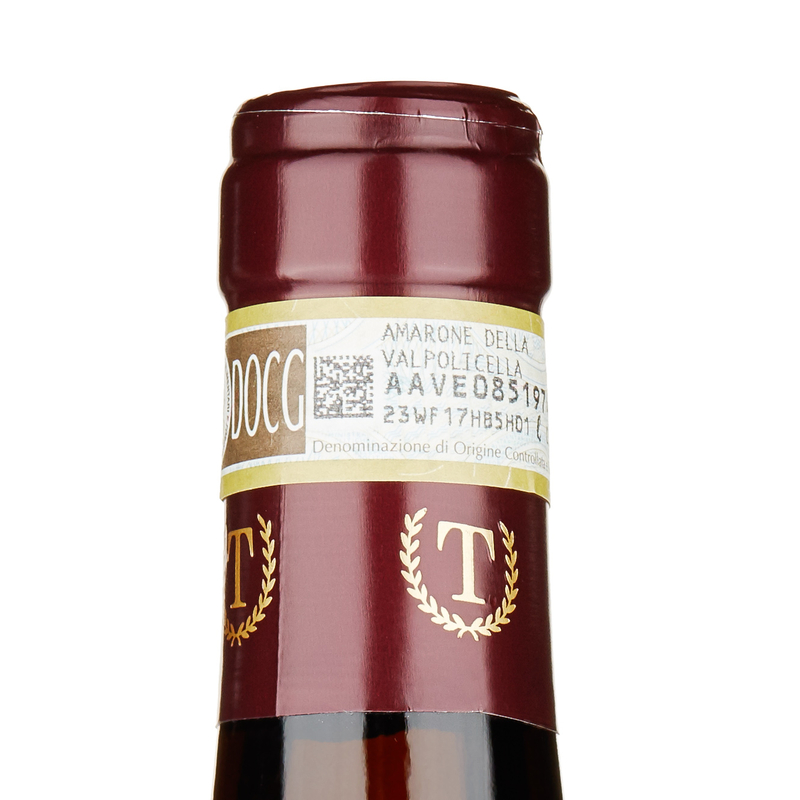 It interprets the classic style of the appellation wonderfully as a supple, mellow, full-bodied and complex wine.